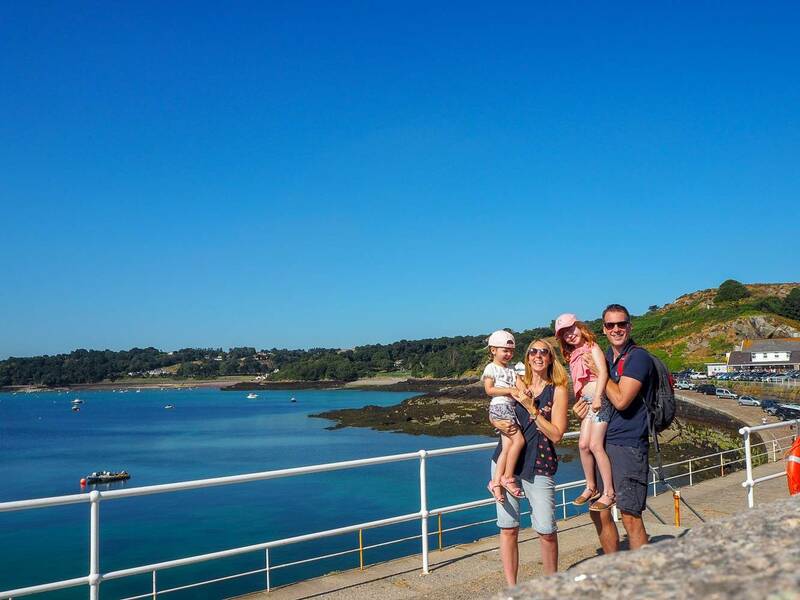 Our Mini Adventure To Jersey, Channel Islands…Part Two! 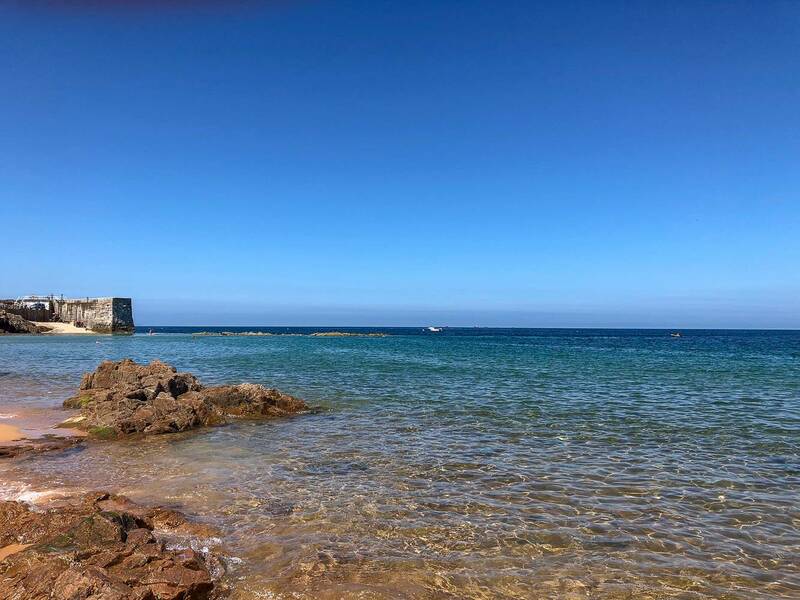 We had a brilliant time in Jersey and as usual I took far too many photos and I have so much I want to tell you about the island, that I spilt the post into two parts. Yesterday I shared part one with you and left you at the end of our first night. We woke up after a good nights sleep at our hotel, to this gorgeous view. I don’t think I could ever tire of seeing this every day. 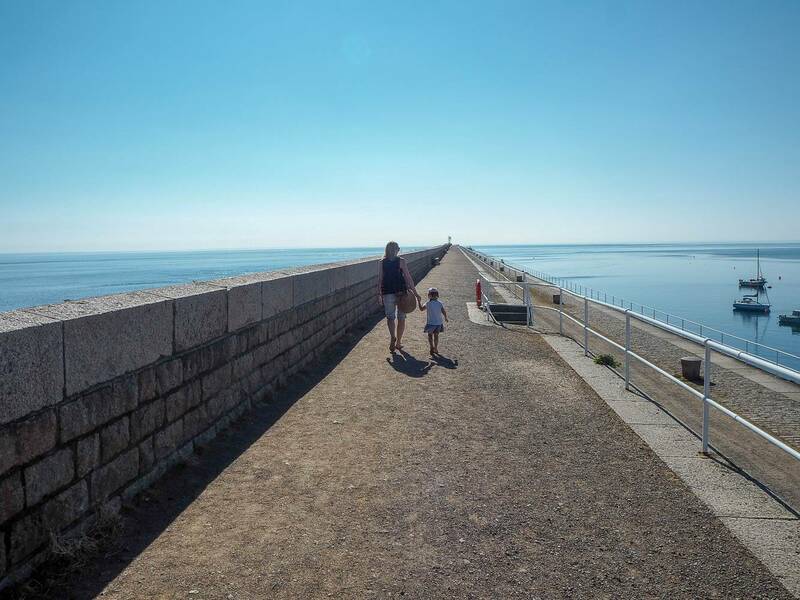 After a lovely breakfast we got in our car and headed to St Catherine’s Breakwater and Tower. I thought it would be the perfect start to seeing Jersey and I’d heard they also sold the biggest ice cream on the island! We weren’t disappointed when we arrived, what an incredibly beautiful place. St Catherine’s was orginially intended to be a harbour for the Royal Navy, but plans were changed when they realised the water wasn’t deep enough for the ships. Work was completed in 1855. It was a lovely early morning walk along to what felt like the end of island. There were a few people fishing all along our walk down and the girls were fascinated by it. It was the perfect start to our day and just incredibly beautiful. 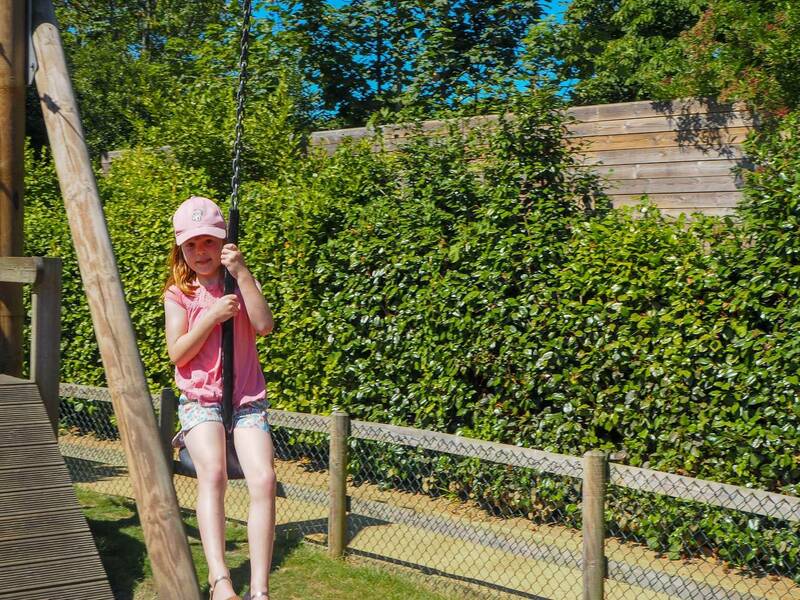 We then got back in our car and headed to Tamba Park, which is in St Lawrence and was only a short drive. 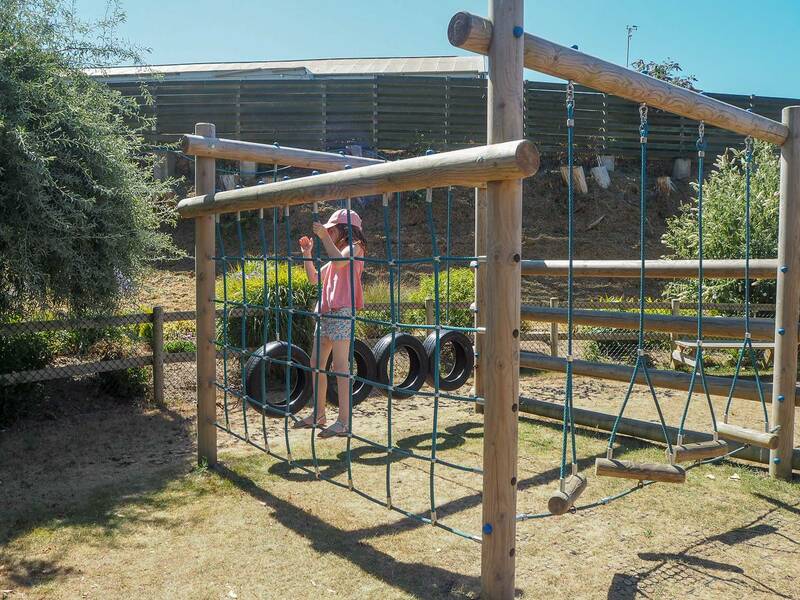 Tamba Park has things for the children to do both indoors and outdoors. The girls couldn’t wait to go down the slide and on the indoor zip wire. 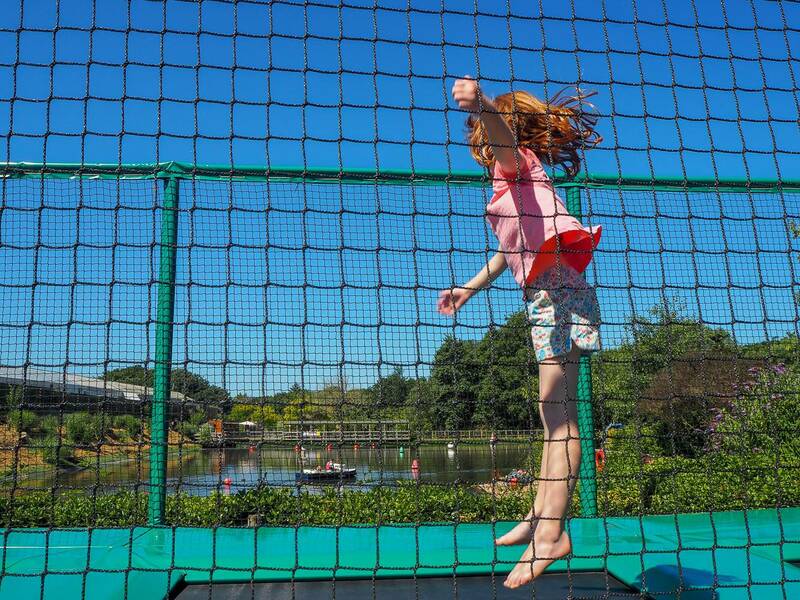 But it wasn’t long before Alice wanted to go and find the trampolines that we had seen on their website the night before. There is nothing they love more than a bounce! One thing to note with Tamba Park, is that you pay an entrance fee and you then also pay for each of the rides. 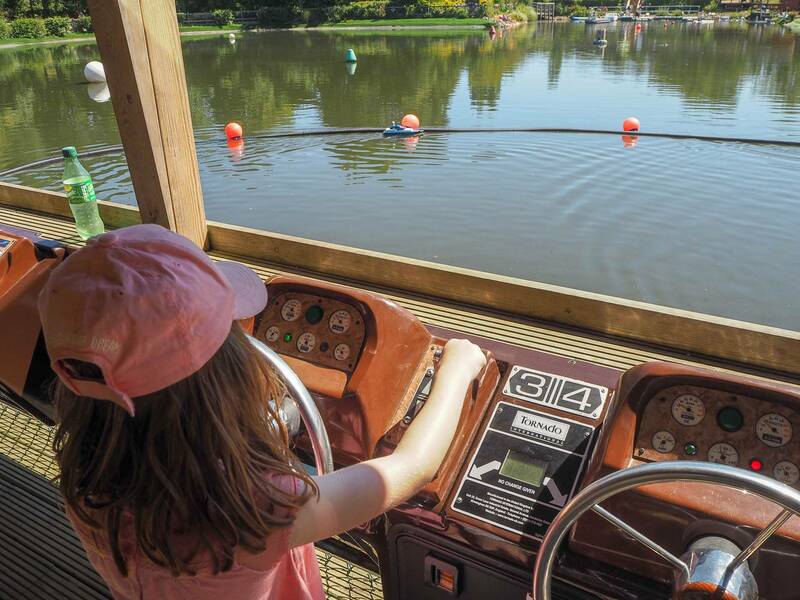 We then headed around to the other side of the lake and the girls had a go on the Tornado remote control boats. These remind me of my own childhood and the girls had fun steering them. 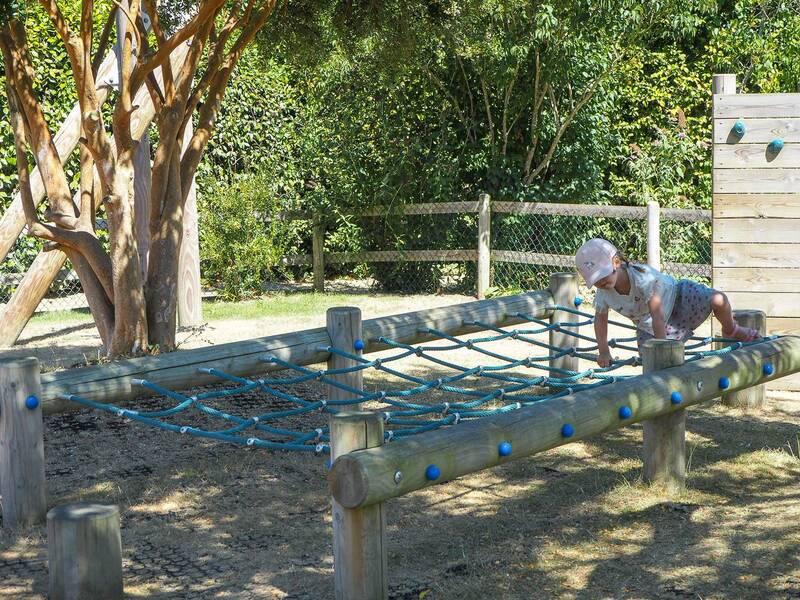 Just behind the lake was an Adventure Playzone and within it they had an assault course, which is just what my girls love to do the most. We couldn’t get them off it. 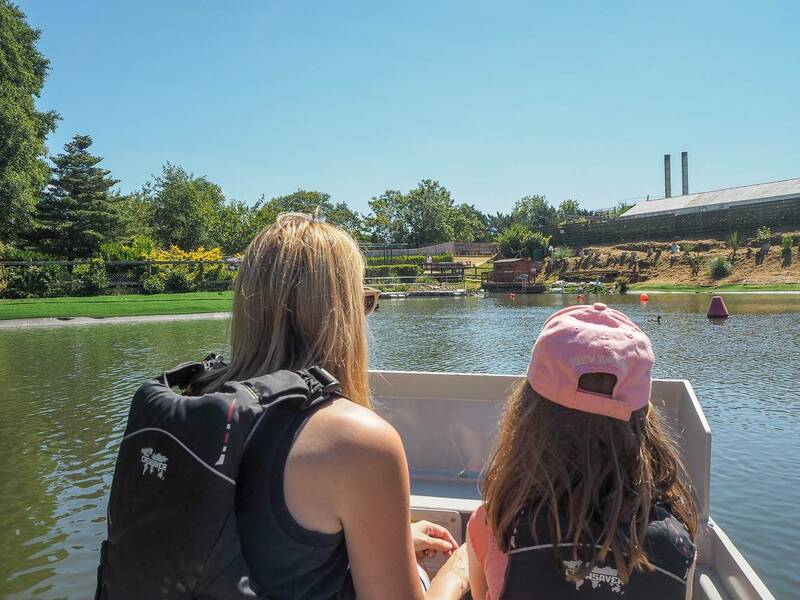 There is a dinosaur trail which was fun to walk through as we headed back to have a go on the Micro Boats. These are electric boats that you get to drive and you can fit up to 5 people in one boat, which meant we all got to go in together. We were given life jackets to wear and the girls took it in turns to drive. It was great fun! It was then time for lunch in Ruff’s Kitchen, before we left Tamba Park. We had a fun morning there and if we lived in Jersey, I could see us having the membership deal they offered. 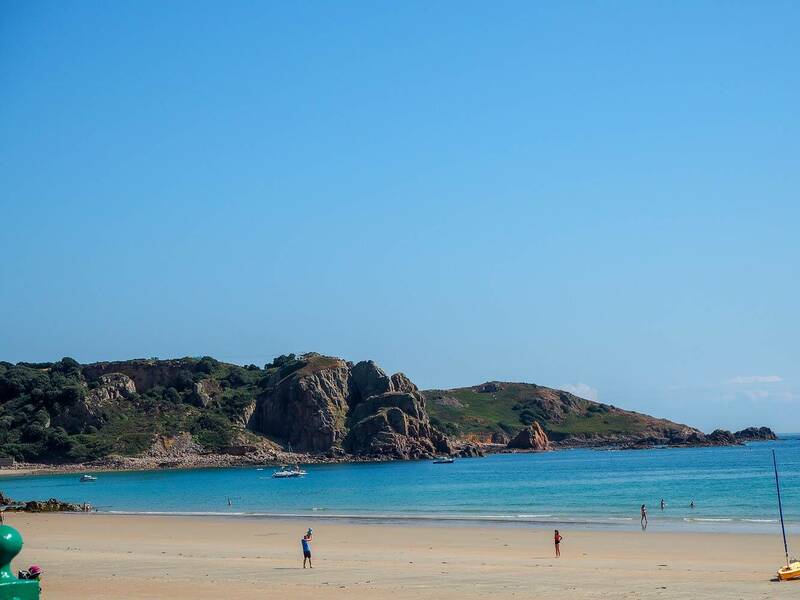 Next we headed to my favourite place on Jersey as a child. I spent many days here and I couldn’t wait to see if it had changed. 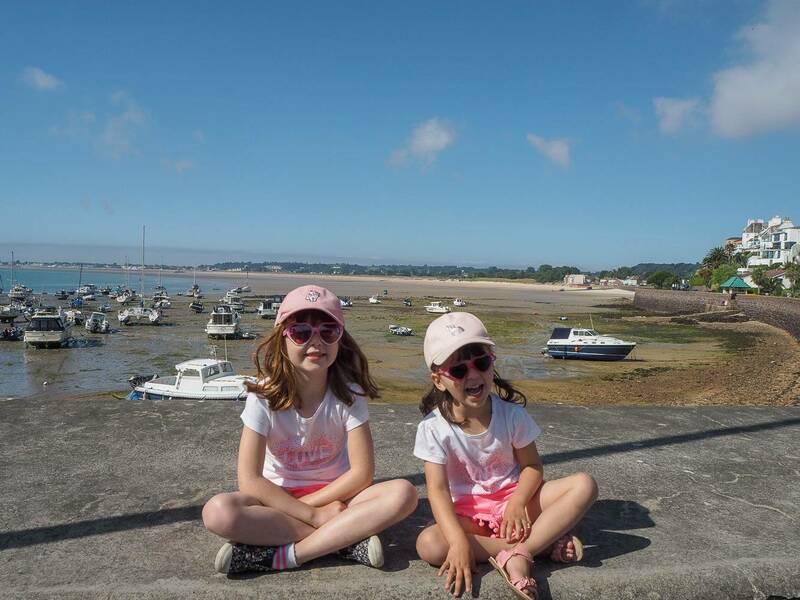 As we drove their I was telling the girls all about my favourite beach, Greve De Lecq and they were excited too. When we arrived it was just as I remember it, and we parked the car at the top (it was free to park!) and walked down to the beach. 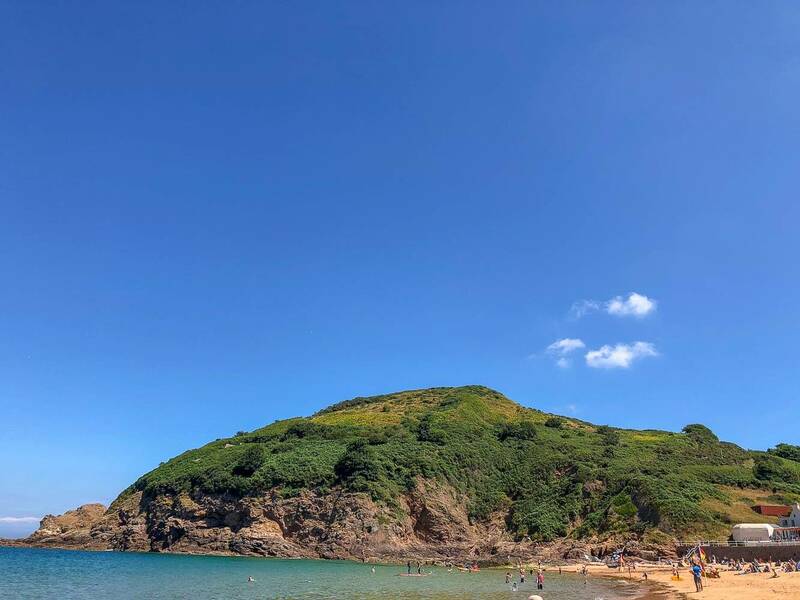 It was just as beautiful as I remember it and my favourite thing to do was go rock pooling and I could see all the children doing just the same as I did as a child. 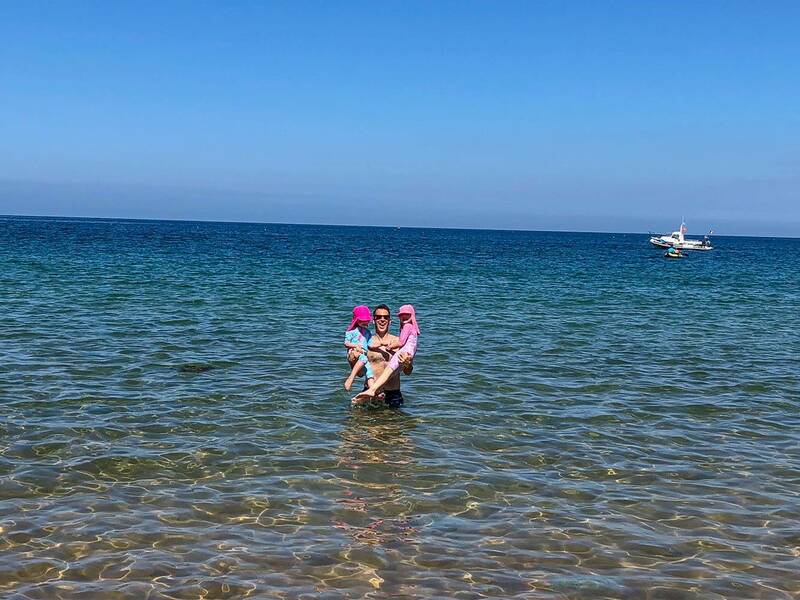 The girls couldn’t wait to get changed and into the sea. 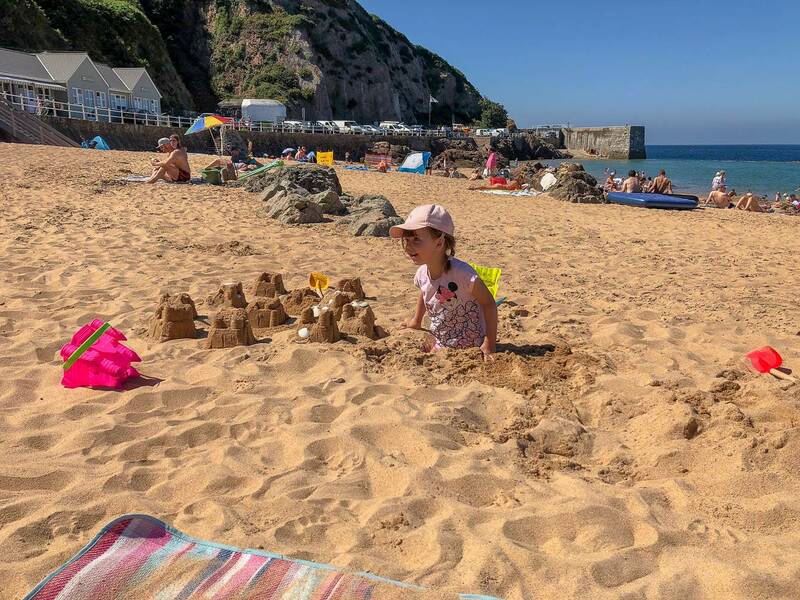 Holly and I built lots of sand castles, one for each of the princesses. I love her little imagination! I had dug a hole to get to the good sand for making sand castles and when we finished, Holly decided to stand in it. Seeing her like this, she reminds me so much of myself as a child. This is exactly what I would’ve done! After a lovely few hours on my favourite beach, thinking about my own childhood memories and making new memories with my own family. We decided to head back to St Brelades for dinner. 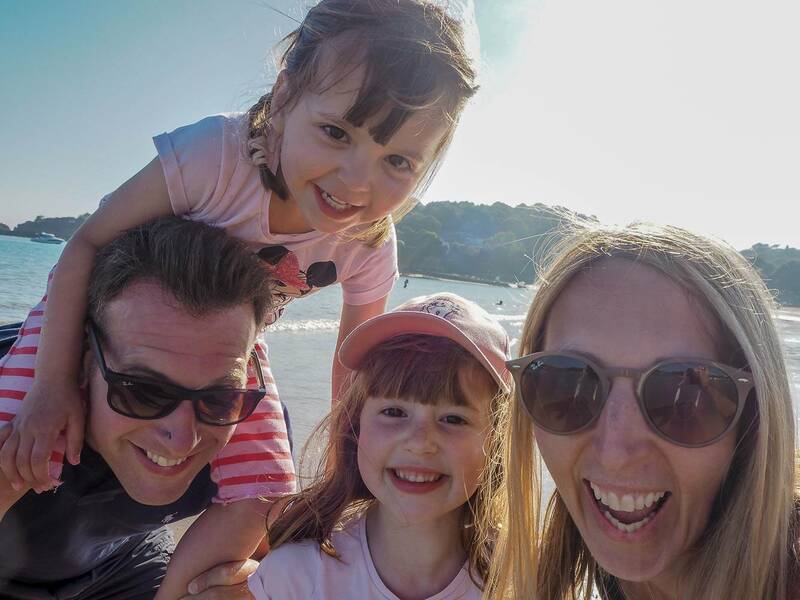 With no real plans for dinner, we were all a bit tired from a full day of fun and we decided to have dinner on the beach, which the girls thought was a brilliant idea. It was the end of another amazing day in Jersey. The next morning we checked out of our hotel, which had been the perfect place for us to stay, we loved it, and we headed to Gorey. 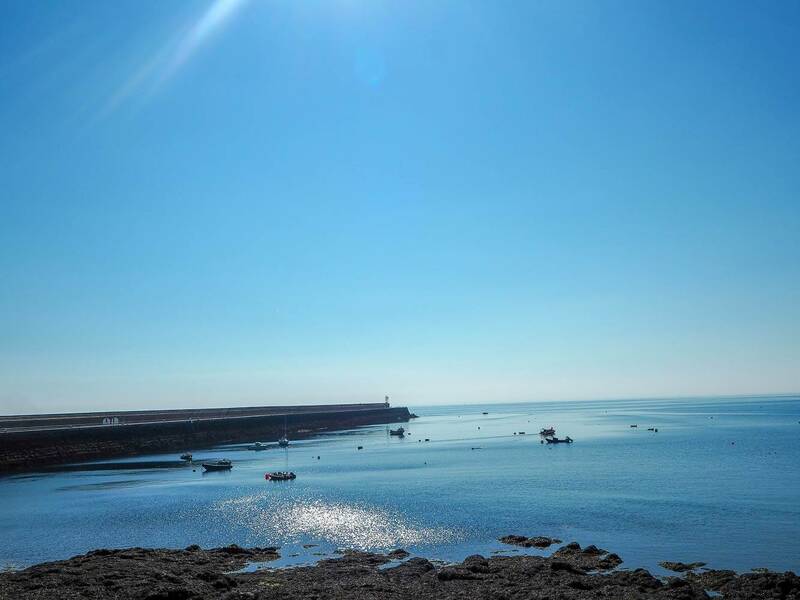 Gorey is a beautiful fishing village and is the centre of Jersey’s food heritage. 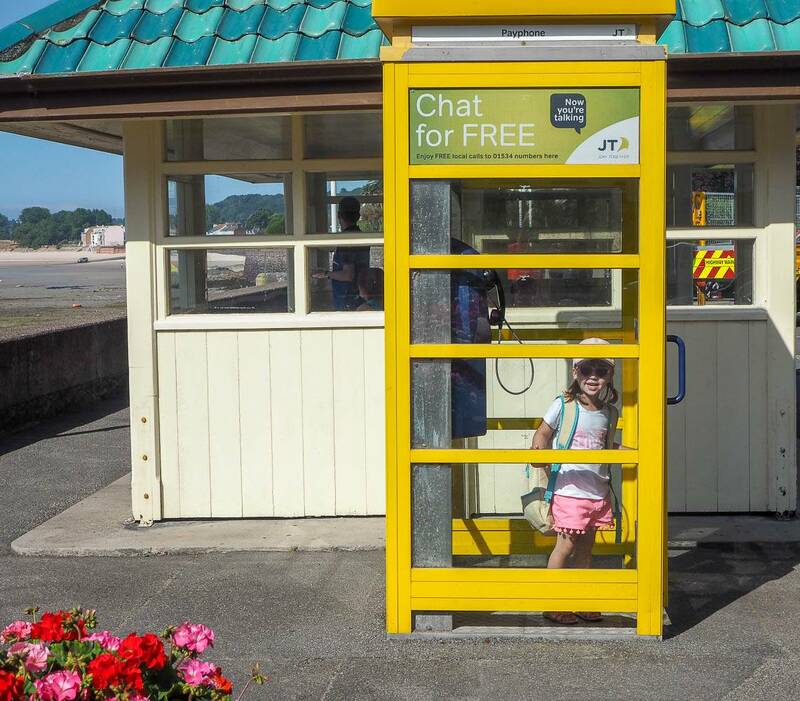 We had a lovely walk along the front and when the girls saw a yellow telephone box, they wondered what it was! That’s modern technology for you!!! 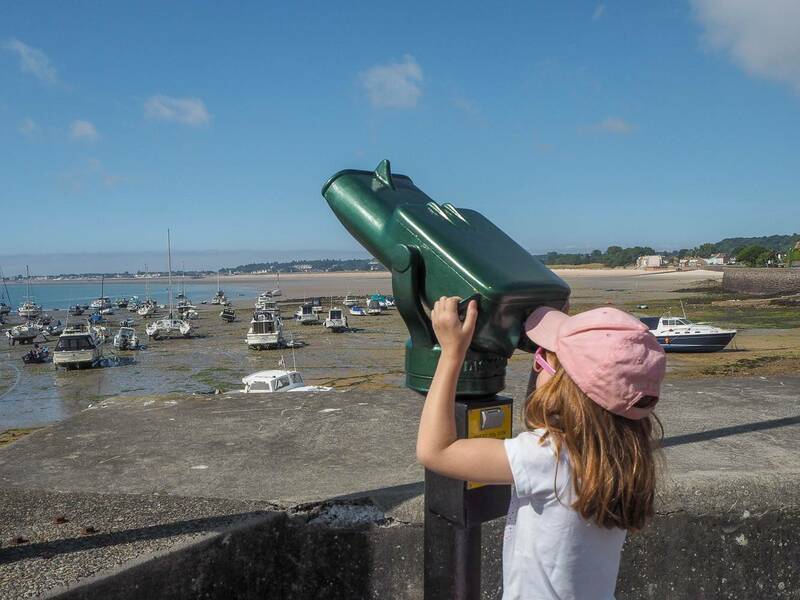 They had binoculars along the way and just like I used to as a child, the girls couldn’t wait to have a go. Little Holly needed a helping hand, to see through them. One thing that really has stuck in my mind from both my visits to Guernsey and Jersey as a child, was there was always beautiful flower beds everywhere and I was pleased to see this was still the case. 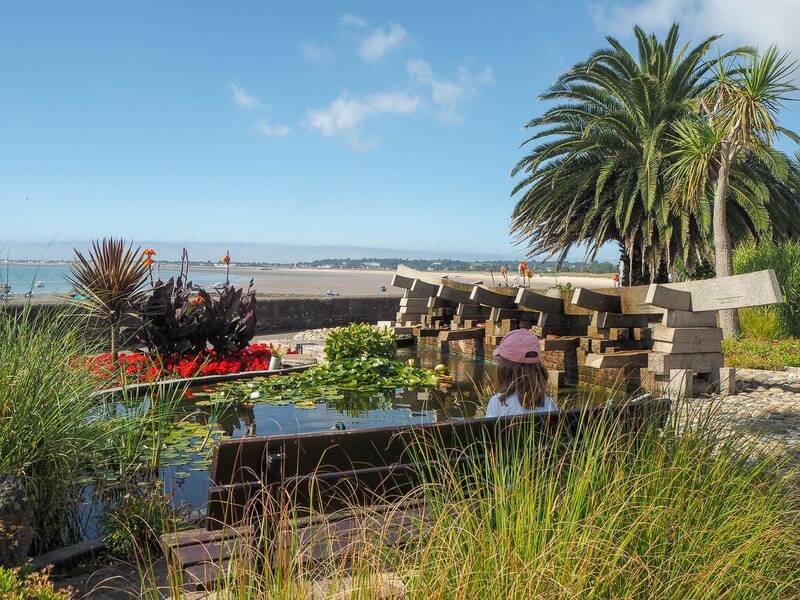 We found the perfect spot for a rest and a snack. 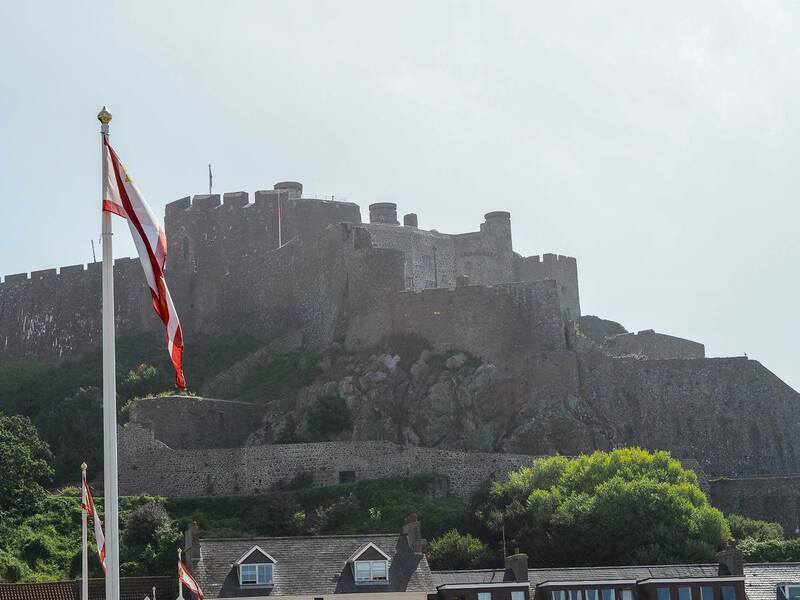 Gorey is the home of Mont Orgueil Castle and if we had more time we would’ve loved to visit, as we love a castle. It looked beautiful. We had a lovely morning in Gorey, but with our Condor Ferry leaving soon, it was time to head to St Helier. 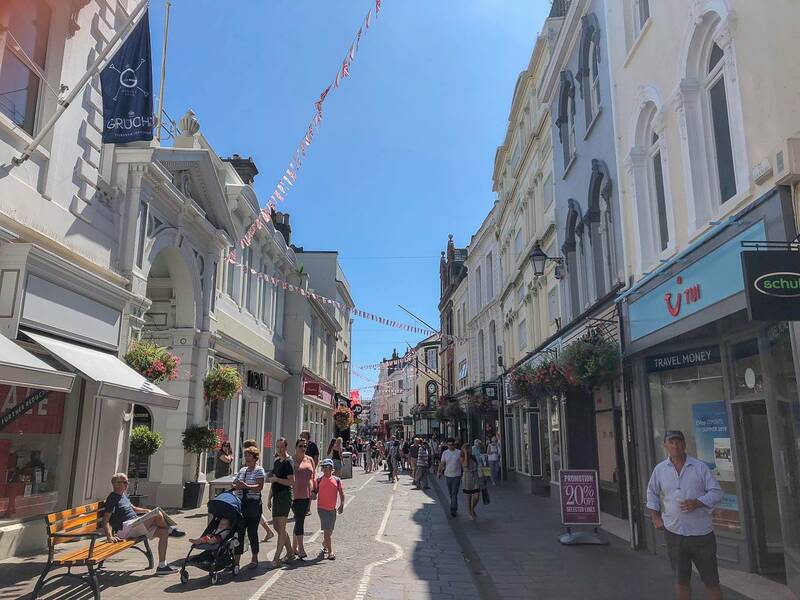 St Helier is the largest of the parishes in the Channel Islands and after only briefly seeing it as we arrived in Jersey, it was lovely to have walkabout. There was lots of gorgeous streets filled with shops and we wandered about, the girls buying a souvenir from their trip to Jersey. We also stopped and had some lunch. 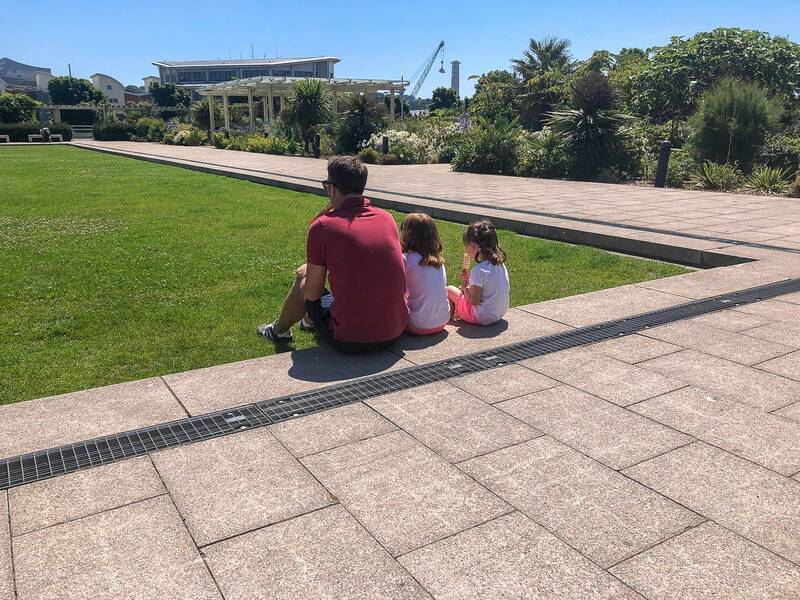 We had one last ice cream before we left and found a lovely area for the girls to run around and let off some energy before boarding the ferry home. 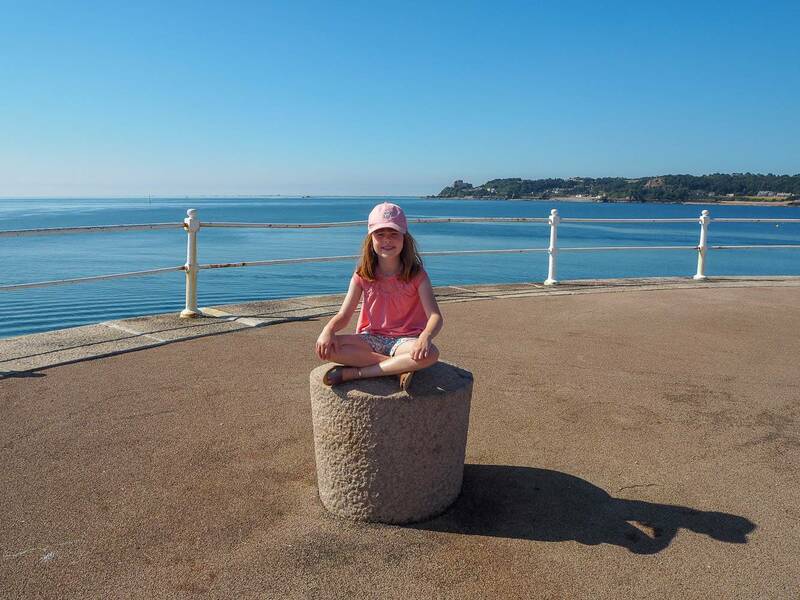 It was then time to head to the ferry port and get on our Condor Ferry home, the great thing is that the girls see the ferry as part of the holiday and they couldn’t wait. Once we were onboard and settled in our seats, we headed to the viewing deck to say a final goodbye to Jersey. One place that we really wanted to visit, but just ran out of time was Elizabeth Castle in St Austin’s Bay, St Helier. You can either get to it via ferry or if the tide is low you can walk to it. 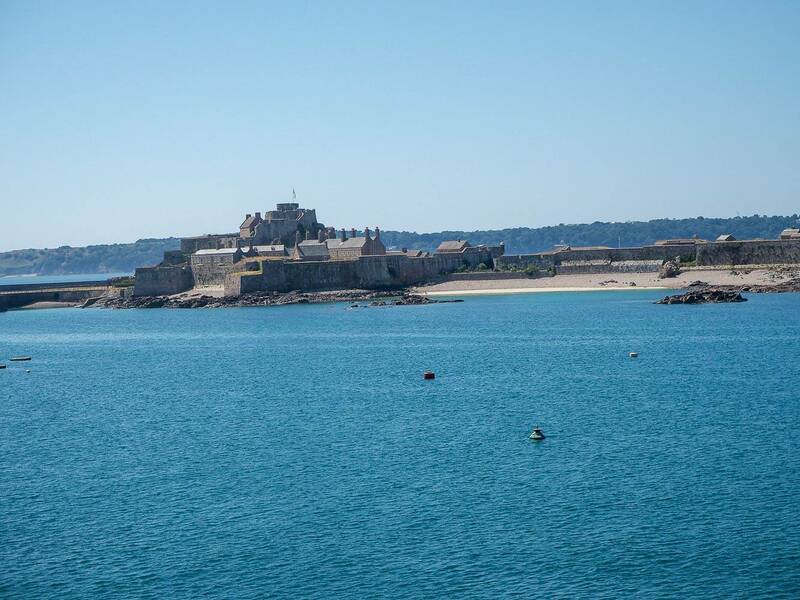 It looked amazing as we sailed past and it’s top of our list to visit when we next visit Jersey. 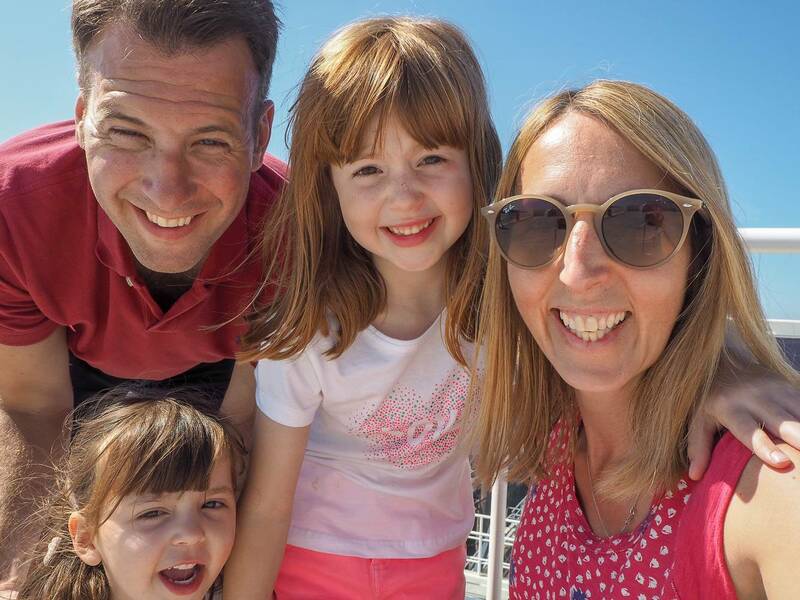 The ferry crossing back to Poole was another calm crossing and the girls loved it, asking when we will go on a boat again. Jersey captured our heart and we had an amazing time. 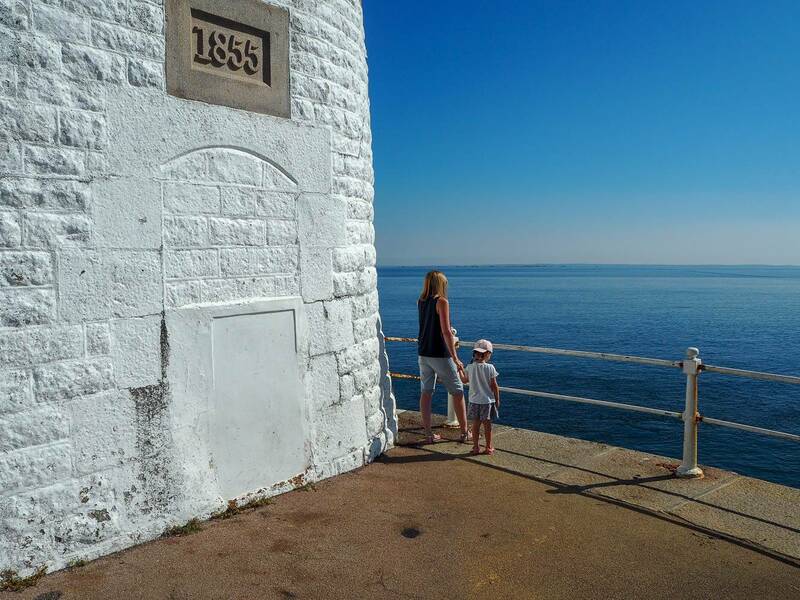 To visit places I went to as a child with my own family, meant so much to me. 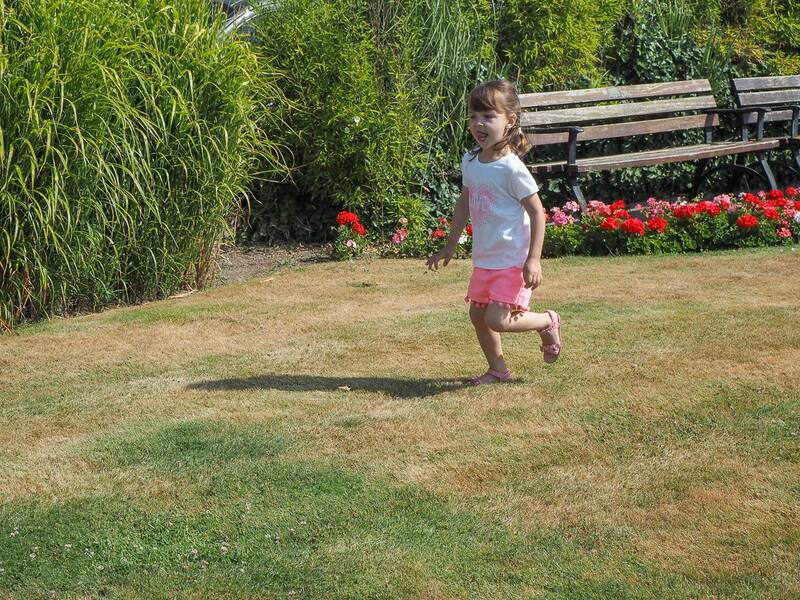 When asking Alice what her favourite part is, she said all of it and that says it all! 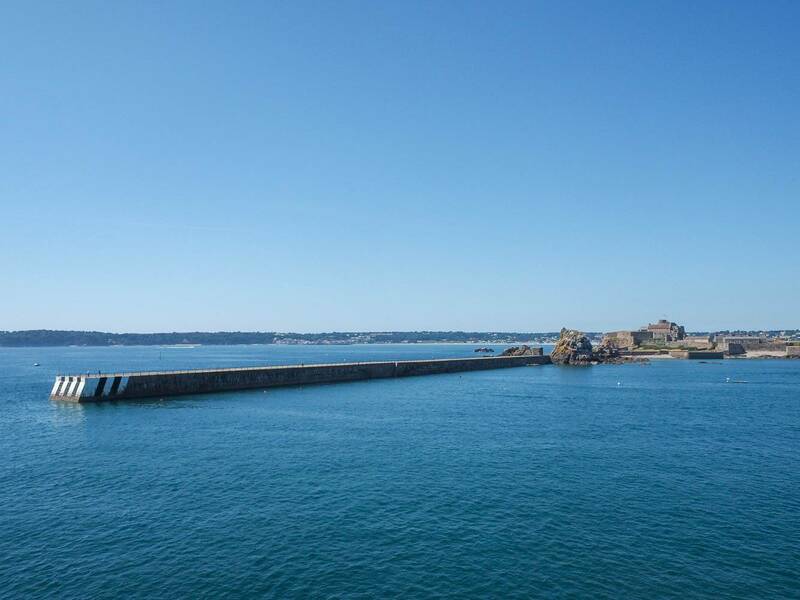 Disclosure: We were kindly invited to visit Jersey with Condor Ferries. All views, opinions and photos are my own. 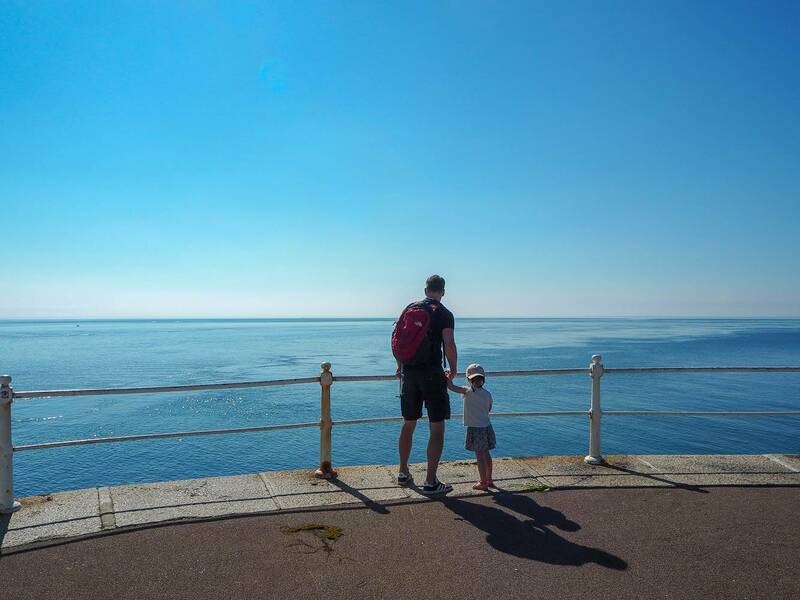 Previous Post: « Our Mini Adventure To Jersey, Channel Islands…Part One! Wow – look at the colour of that sea! I have wanted to go to Jersey for ages but we haven’t made it there yet. I want to go even more now after reading all about it. Sounds fantastic. Sounds and looks like a lovely place. Your pictures are so beautiful. Never been to Jersey before.